Over the past five years, Australian Business Forum has created a platform to promote the Sino-Australian business investment relationship. For the first time, ABF is launching this platform, Australia-China Business Week in Shanghai in April 2013. Join a senior Business Delegation and participate in ACBW Forum, Networking Functions, Business Matching Sessions, Keynote Breakfast, Luncheon and Banquet Dinner. Since its launch in 2008, ACBW has grown to become the premier annual event serving to strengthen Sino- Australian business links across all industry sectors and fostering B2B connections. Now in the sixth year, ACBW 2013, continues to create a unique platform for Australian businesses ( especially SMEs ) who are seeking a path to success in China, as well as Chinese entrepreneurs wishing to engage directly with their counterparts in Australia. 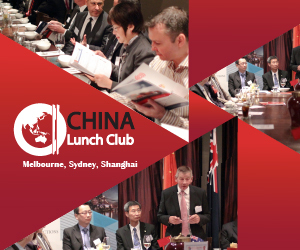 Building on the success of ACBW in Melbourne and Sydney during 2012 with over 1000 delegates and visitors attending, ACBW 2013 is expanding even further with the upcoming launch in China’s commercial capital Shanghai with a presentation of Australia China BusinessWeek – Shanghai. ACBW 2013 helps companies to define effective entry and expansion strategies in China through a solid knowledge on government policies, business landscape and the latest economic outlook. More importantly, it connects businesses with potential distributors, partners and investors through a succession of well-designed events.